It is officially confirmed that the Chichibunomiya Rugby Stadium will host all 6 home games of Sunwolves in 2018 season. ※ All seats in the Professional Zone and the Party Zone are unreserved, the others are reserved seats. ※ The seat number for Special tickets are preassigned. ※ Seats with a family discount may not be applicable to select a seat number. ※ Please keep in mind that the number of purchase of tickets is limited to once. ※ After placing an order for a ticket, it is not possible to purchase other tickets for the same match even if the payment for the first order is not made. The period of Season tickets sales is over. ※ Season tickets will be exchanged with a token. Please bring a token for exchanging the season ticket at the stadium on the match day. A season ticket comes with an original tickets holder. Please keep the token until the game day for exchanging with the season ticket. 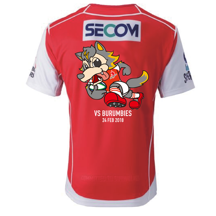 The location to exchange a season ticket with a token will be announced on the website of the Sunwolves. 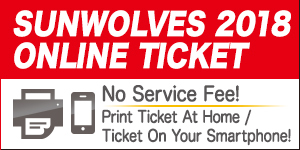 Check out our ticket information below for the 2018 Super Rugby Sunwolves home games. We set 6 zones of the seating with several ticket categories and special offers. You can choose 6 zones depending on how would you like to enjoy watching the game. You can enjoy bestview of the game with a roof. You can enjoy the exciting try scenes with the Aurola vision in front of you. You can enjoy wathcing the game with the standing style. If you would you like to watch the game with all of your family members, book this area. ※ You will be able to choose the size of the jersey on the first come first served basis. ※ The printed players will be varied every round. ※ The face of the players will be printed on the same position of our mascot Wolvy on the picture. ※ Each families will get 1 ball with the logo of 2 teams in the match. ※ The picture above is the sample image of the ball. 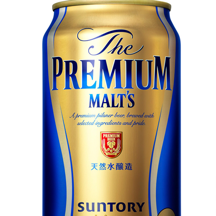 ※ All members of the group will get one beer each. 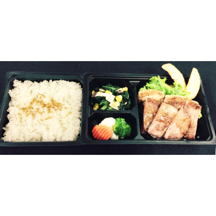 ※ The picture above is only an example image of the BENTO. 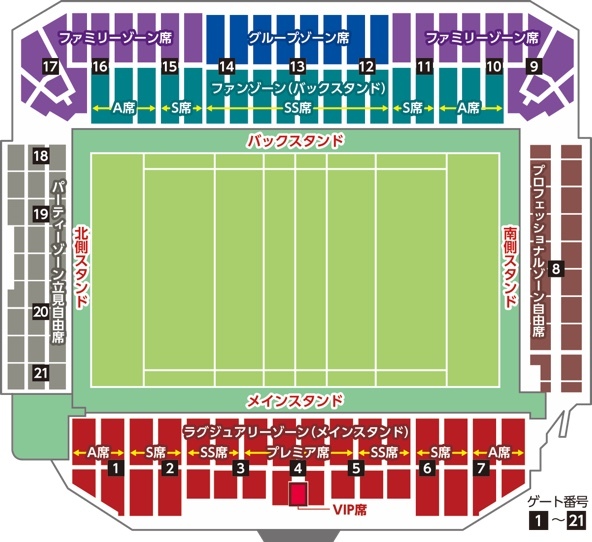 Each box seats come with a rugby ball with a Sunwolves’ team logo and an away team’s logo, a glass of beer (two glasses for the seats of four), and two bottles of team. 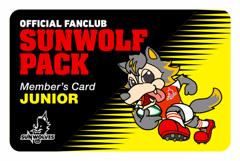 All the Junior members of the SUNWOLFPACK in the FAMILY zone (Advanced ticket Junior price ¥2000) invited for the next home game in Japan. All the details are available in the Fan Club web site. ■ The ticket sales will be begun at 12:00 pm (on the weekend) / 18:00 on the weekday. ■ No sale of the Junior tickets on the match day. 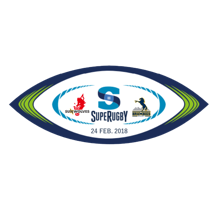 ■ JRFU invitation tickets can not be used for all Super Rugby matches. ■ No advanced entry of the match for the JRFU memberships. ■ Top League invitation tickets can not be used for all Super Rugby matches. ■ Suica can not be used at the entrance gate. 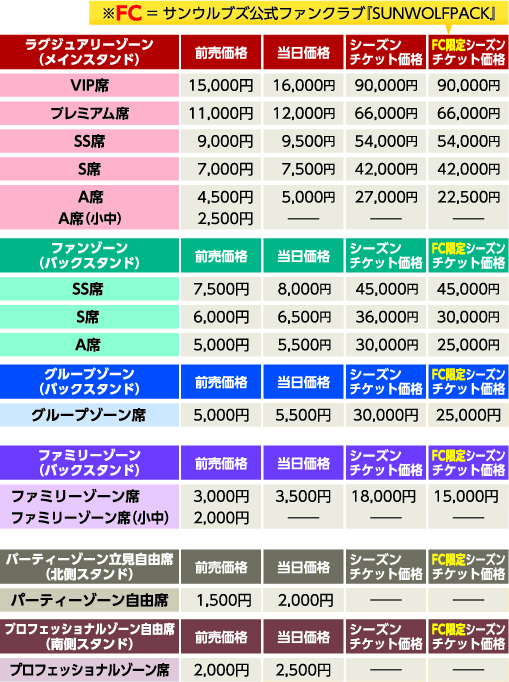 ■ Condition of the ticket sales depend on the systems of each ticket store. Please access to the internet pages of the ticket stores for the details. ■ If the wheel chairs are needed, please contact 0120-639-021.